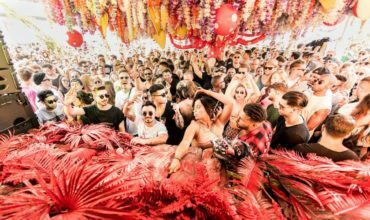 As Ushuaïa’s homegrown colony prepares to make their eagerly anticipated return as Saturday residents, ANTS have now unleashed the full details of this year’s weekly line-ups running from 4th June – 24th September. Featuring a huge array of names across the house and techno spectrum, the 2016 schedule will be led by synonymous resident Andrea Oliva, as well as the White Isle’s most dark and seductive recruits. 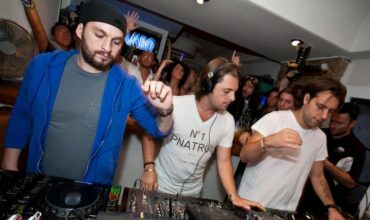 Previously unveiling a high-voltage opening night featuring Groove Armada, Kölsch – who appears throughout the season – and Eli & Fur, the wider bill sees house gangster DJ Sneak also on board, backed by the similarly stand-setting Sasha and contemporary class in Joris Voorn. 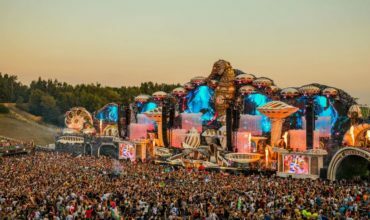 Island trustee Pete Tong is also confirmed, whilst the ANTS spell is magnified by even more magnetic names with the addition of esteemed energy Eats Everything and his recent Edible signee Lauren Lane. Purp & Soul star player and boss Ben Pearce makes his 2016 return, whilst Garage crossover Gorgon City continue to flourish within the ANTS family after appearing across several dates throughout the ANTS winter tour. 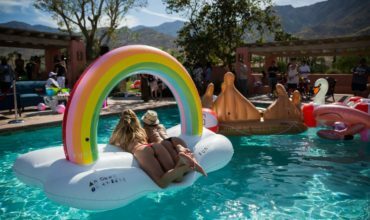 Maya Jane Coles, Matthias Tanzmann, Nic Fanciulli, Francesca Lombardo, Ilario Alicante, Catz n Dogz and Yousef are just some of the further names that will be taking the helm this season, and with more special guests yet to be announced, there’s no doubt as to why Ushuaïa’s weekly flagship is one of the most in demand parties on the island. 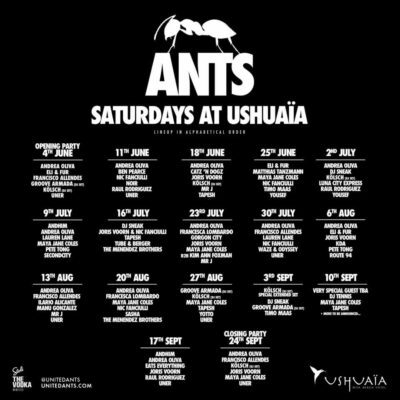 Hey Buddy!, I found this information for you: "Ibiza News: ANTS reveal season line-ups for Saturday residency at Ushuaïa". 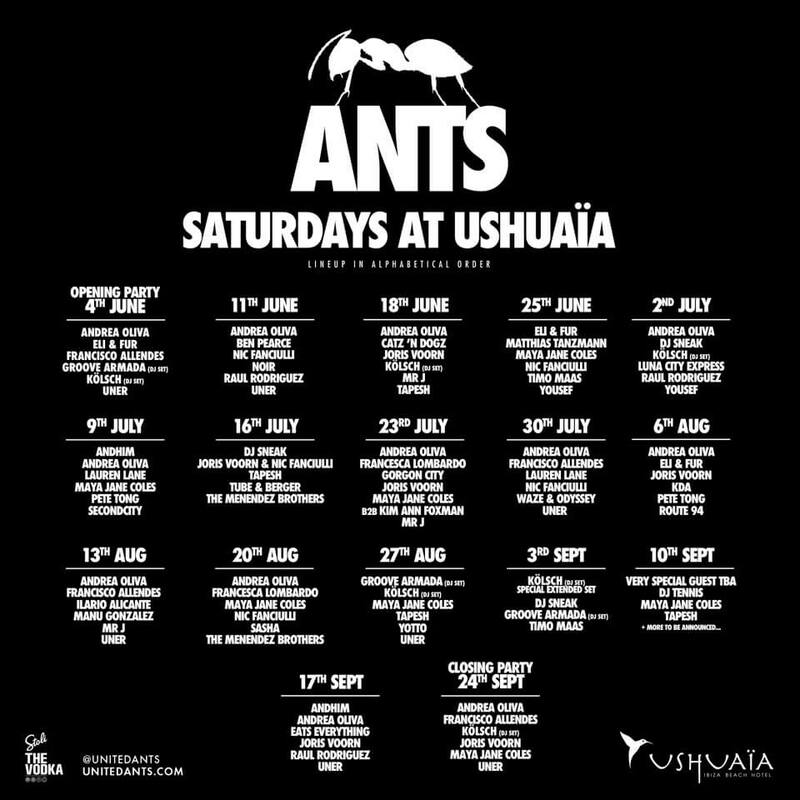 Here is the website link: https://themusicessentials.com/news/ibiza-news-ants-reveal-season-line-ups-for-saturday-residency-at-ushuaia/. Thank you.